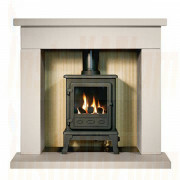 The Gas Stove gives the added convenience of modern gas technology. One turn of the control knob sees the flames dance into immediate life. 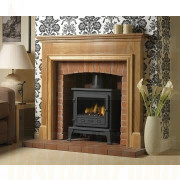 With excellent options on Gas Stoves alone, there is a Gas Stove for you to enhance and warm any living room. 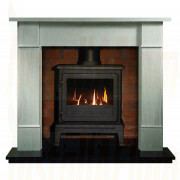 Gas stoves are a convenient, low-maintenance way to have the beauty and charm of a real fire in your home. 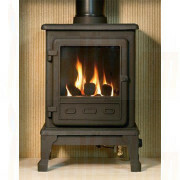 A gas stove can heat your home reliably using a thermostat. Many gas stoves come with a remote control. You don't even have to get out of your armchair to light a fire. A gas stove will keep working even if the electricity goes out. 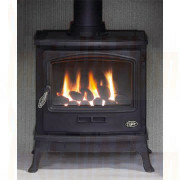 A gas stove is relatively inexpensive to operate. 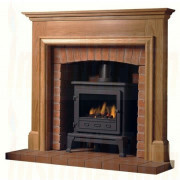 Depending on the price of gas in your area, wood or especially wood pellet stoves will be cheaper. Electric will tend to be more expensive. 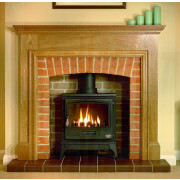 Gas stoves don't require you to store and add fuel to the fire and they don't involve any messy cleanup afterwards. They do need to have venting so that fumes don't pollute your indoor air.